Hotel rooms go unoccupied. It's a common occurrence as rooms turn over from night-to-day. PARIS - What if you could consistently fill those empty rooms during daytime hours? 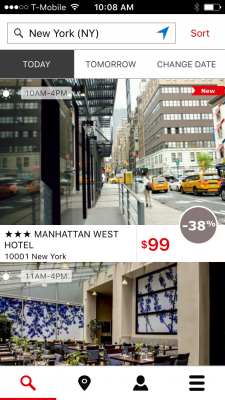 Dayuse.com, a daytime hotel booking platform based here, wants to help national and international hotels increase their revenues by filling the rooms that would otherwise go unoccupied.